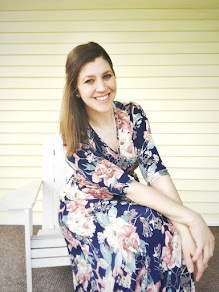 As many of my fellow bloggers may know by now about two weeks ago one of our favorite bloggers had some issues regarding her blog content and privacy being comprised. It pretty much freaked me out and I've since been very quiet on this bloggity blog of mine as well as over on Instagram. 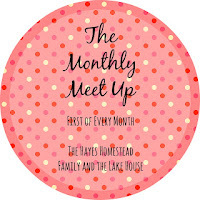 So, here I am with a few new plans for my blog on this month's edition of The Monthly Meet Up. ...my blog will likely see more diy/home decor posts and less of the kiddos. I'm still hoping to provide updates on our daily lives somehow on here. I'm trying to figure out how to incorporate our day-to-day into this little space of mine without jeopardizing my comfort level. After all, this Saturday will be Henry's fifth birthday and how do I not blog about that - right? It's a milestone! I've already not blogged about his Kindergarten registration and my blog feels a little sad because I didn't post anything about it. Does anyone want to start a weekly, "Real Life" type of link up? Perhaps once a week would work perfectly? ... I'll be starting a weekly home tour in the next couple of weeks similar to that of the amazing, Lindsay over at Lindsay's Sweet World. Seriously, check out her house, it's amazing! I figured this would be a great opportunity to show all ya'll more of my home as well as get some new content up on my "Home Tour" page. ...I'm going to attempt to blog 2-3 times a week in hopes to place myself on an intentional schedule. We'll see how that'll go - but by golly, I'm going to try! Oooo I can't wait to see more DIY/home decor posts but will sure miss seeing and reading about the kiddos!! I completely understand though. I'm not changing the way I do anything on my blog. Yes, it can happen to anyone, but I really can't change privacy settings due to some of the partnerships I have with big companies. That being said, I did mention today that I do blog with safety in mind. I never reveal where I am or where I'm going to be until after the fact. I doubt any crazies will come after me, but you never know!!! Dang, how did I miss this post?! Thanks for the shout out! I CANNOT WAIT for your house tour! I've been waiting for this foreverrrr! I'm glad that you decided to keep on keeping on. I'm glad that I decided to as well... hopefully we won't be fixated upon by any crazies. Ugh!